Thatcham travelled to Taplow looking to get back to winning ways in the league following last weeks draw away to Wallingford. Several changes to the squad this week mainly due to illness but that didn’t seem to faze the visitors as they started right on the front foot with the first chance falling to Tom Jordan following a battling run but he failed to get any real purchase on his shot. Miller then had a chance from an Aspell cross but he couldn’t get enough power behind it to beat the outstretched keeper. Thatcham continued to pile on the pressure with Goater testing the keeper before a couple of half chances from corners for Miller and Pringle, but they finally broke the deadlock through Miller after he picked the ball up on the right cut in onto his left and bent the ball pass the keeper. Thatcham continued to flood forward but were undone following a long ball which wasn’t cleared by the debuting Carmichael which forced Morton to make a smart save but the ball fell to a taplow player on the edge of the box and his deflected effort flew in. That didn’t stop the visitors and they continued to press foward with Goater causing havoc down the left. Some neat play between Jordan, Waters and Carrington forced another corner which was swing in by Goater and glanced home by Journey Waters for his first goal of the season. Thatcham went close for a third right at start of the second half as Miller gambled on a Pringle clearance before nut-megging the defender but his long range effort flew just past the post. Thatcham’s high press wasn’t the same as the first half which allowed the hosts to start to get a foot hold in the game. 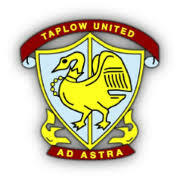 Liam Parry replaced the injured Aspell and moments later the hosts drew level after a attempted diagonal ball out wide was charged down by Bebbington but the ricochet few right into the path of the Taplow forward who slipped the ball under the on rushing Morton. Thatcham seemed shocked their usual rhythm was there, they had a chance to counter but Miller’s through ball was cut out by the defender. Pringle then had a another half chance from another Goater corner before Johnson replaced Miller. Moments later the hosts took the lead after good play down the left the wingers cross-come-shoot somehow found its way in at the near post. This seemed to spark Thatcham back into life with Carrington surging forward with the ball on a number of occasions. Carmichael then made way for Haresnape who returned following a few weeks out injured. Goater continued to cause chaos down the left with some dangerous balls into the box. Pringle then went on lung buster down the left and and found Johnson in the box but his touch was heavy and allowed the defender to clear. The equaliser did arrive moments later after Pringle released Goater who raced clear he drew the keeper out and squared for Johnson to tap into the empty net from 3 yards. With the clock ticking down Taplow were awarded a penalty after Bebbington was “adjudged” to pull back the attacker but the penalty was poor and Morton easily gathered. Thatcham had one last chance through Goater but the angle was against him. The full time whistle blew and left Thatcham reflecting on what they feel is another 2 points dropped.  Maidenhead United Youth 3 Thatcham Town Youth 1 Town ‘win’ 2nd half 1-0 but lose 3-1 on the night. Thatcham Town Youth win 3-0 in the Berks and Bucks Cup  After last week’s win under new manager Ben Thornton, Thatcham Town Youth win 3-0 against Cumnor Minors to progress into the 2nd round.